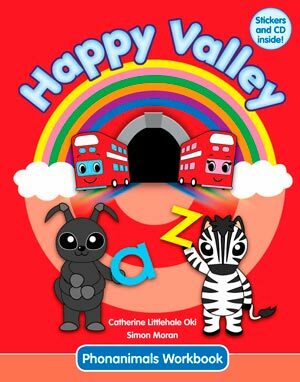 Happy Valley is a character-led series that gets kids from 2 to 6 listening and speaking in English – FAST! 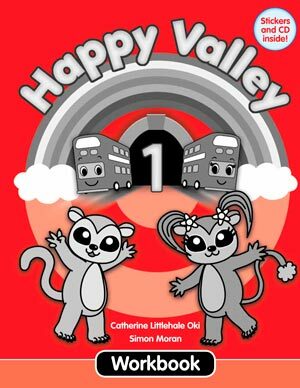 The Happy Valley Student Book CD is jam-packed with songs, chants, stories and dialogues. Tunes new and old to get learners singing and moving. This 74-track CD has songs, chants, dialogues and stories to go with all 10 units. 18 General Songs can be used with specific Units or at anytime. All songs are included in the Lesson Plans provided on this website. The Song Routines Bank suggests ways to use songs and the gestures and dances can be found in videos and the DVD. Use the CD with the book, or just listen to the songs.